Non-IDEXX parvo tests are unreliable, often producing false positive test results. Receptionist - call source shelter if information/paperwork not provided. If positive – goes into ICU. If group test was performed on litter, verify if IDEXX test was done. group test each "enclosure" (i.e. if 3 dogs were in same kennel at other shelter, group test). All puppies are housed together as long as their medical treatment allows for it (can be separated if needs IV CRI). 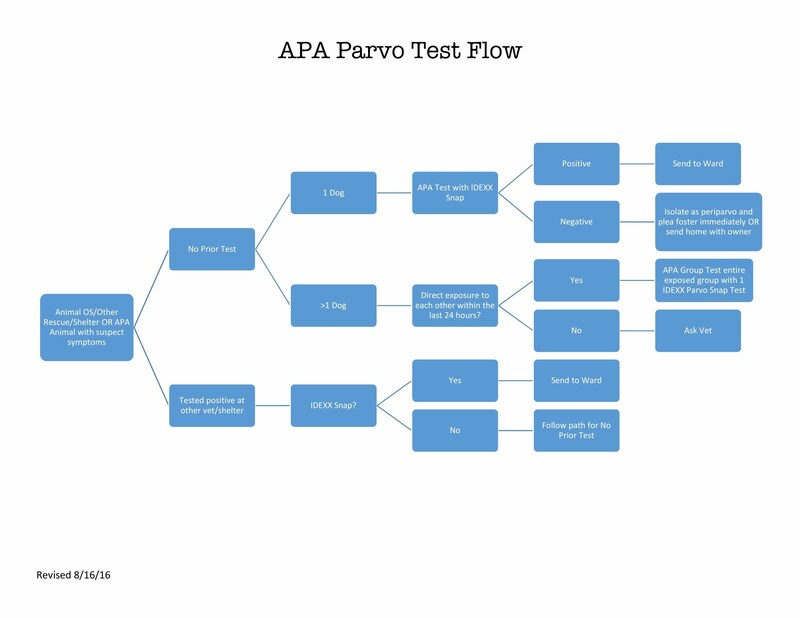 If puppy does not show signs of parvovirus in parvo ICU, note on the “post parvo” intake form.